Many homeowners wish they could change their home without changing where they live. Remodeling your home is the perfect solution! Our professional craftsmen at California Shine Construction specialize in home remodeling projects of any size, scope, or style. From a simple paint or flooring update to a complete room overhaul, we will complete your home remodeling project according to your goals. Kitchen remodeling and bathroom remodeling are two of the best ways to increase the value and improve the beauty of your home. Kitchens tend to be a space where family and friends congregate to chat and catch up, and bathrooms are not only essential, but also a room where we all spend a lot of time. Both of these essential rooms in your home should be beautiful and functional spaces for you and your family. If your home seems to be shrinking as your family grows, California Shine Construction specializes in creating home additions. We can convert existing spaces to utilize a currently underused room, or we can build a new room addition from the ground up. We guarantee that your home addition will fit seamlessly with the rest of your home and will look like it has always been a part of your house. As with all home projects, we will work closely with you from start to finish to ensure the remodeling project is completed according to your needs. We will get all of the information from you regarding style, budget, timeline and any other needed details so that we do your remodel right the first time. For any of your custom remodeling needs in the Fresno, CA area, contact the home construction experts at California Shine Construction today! 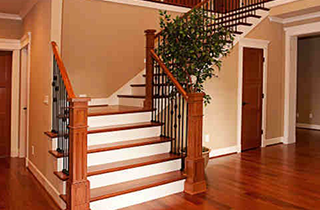 We guarantee you will be completely satisfied with your home remodel when we are finished with the project. Let us create a space that will make you fall in love with your home all over again!